Home » True » True: Isn�t success Sweet? Food for the soul: We must accept finite disappointment, but we must never lose infinite hope. Martin Luther King, Jr.
Lover�s Nest Valentine treat of Bohol Coconut Palms Resort (owned and managed by the dashing Glenn Mark Blasquez) was a success. The Feb. 14 event was attended by partyphiles, atkins and friendsters�whether they are lovers or members of the single society. Congratulations to Kerpatrik G. Boiser who graduated from the International School for Culinary Arts and Hotel Management or ISCAHM. Kerpatrik won recently the MORS (Macau Occupational Skills Recognition System) Gold Pin Competition 2007 as Assistant Chef representing Wynn Macau. He is the youngest son of lawyer Gilbert D. Boiser, an executive director for NCR of the Commission on Human Rights, Central Office in Diliman, Quezon City. Please allow me to share with you this message of paying tribute to Filipinos working abroad giving honor to our country. Congratulations to couple Hans and Lani Schoof of the opening of The Peacock Garden Luxury Resort and Spa. The couple introduced a refinement on all guest rooms, keeping them casually elegant and comfortable while incorporating new aesthetic touches and modern high tech convenience. Each of the bedrooms and suites at The Peacock Garden Luxury Resort and Spa have been decorated in an elegant style, complete with antiques and feature amenities. The Peacock Garden Luxury Resort and Spa offers a tranquil escape in breathtaking location in the historic town of Baclayon. Whether you seek a new fitness experience, want to tap into your inner strength or address specific health challenge, The Peacock Garden Luxury Resort and Spa has the insightful options to nourish your mind, body and spirit. While in Baclayon, there are things to do. The Peacock Garden Luxury Resort and Spa affords an excellent location near to many famous attractions including: old Baclayon Church, baluarte, Pamilacan Island Dolphin and Watching, broa making and old houses. People can discover the ultimate vacation and treat�peaceful and refreshing with a world-class European spa (with a touch of Boholano elegance and hospitality) and tantalizing dining. Getting to The Peacock Garden Luxury Resort and Spa is located approximately 10-15 minutes from Tagbilaran Aiport or Tagbilaran pier. For additional information and reservation, please visit www.thepeacockgarden.com. Few issues ago, True mentioned Jane Censoria Cajes, the Sangguniang Kabataan Provincial Federation president and daughter of 2nd district rep. Roberto Cajes and Trinidad Mayor Judith del Rosario-Cajes, in Hula Hula Who 2008 (2008 predictions) who would make a history. True indeed! On Valentine�s Day, Day Jane won as SK national president. I�ve learned the news through Jane�s angel De Ers (with John Torralba and Jubelyn �Na�ve� Pulgarinas). Only 84 out 122 SK provincial presidents were able to cast their votes since others didn�t complete the three-day seminar. It was indeed the most solemn and the most peaceful SK National Election ever held. However, there were tensions beginning Tuesday February 12, when the SKs of Lapu-lapu City, Makati City, Valenzuela manifested their interest to run for president. Eventually, Makati City SK gave-way to Jane Cajes after having acquainted. Lapu-lapu likewise slid down to run for Regional Director of Region VII where he won over Mandaue City SK with a single vote. SKs of Luzon had solidly demonstrated their support for Jane�s Candidacy. SKs of Luzon felt insulted when Valenzuela SK brought ABS-CBN�s �Let�s Go� less-popular starlet. The SKs of Luzon did not like idea of capturing their attention towards Valenzuela SK with the use of starlets. This Boholana charmer (Jane) has earned admirers from Luzon, Visayas and Mindanao. Election day came, Jane was nominated and was unopposed. For the first time in the annals of SK national election history, this years batch is considered as the most educated, cultured and dignified. NYC and the DILG has expressed great expectations for this batch. Unlike the previous SK National elections where a platon of �yaya� and �body guards� were roaming around the venue, this years election was the complete opposite. Jane�s victory is result of a silent and well-coordinated moves of SKs of Luzon, Visayas and Mindanao who was persuaded by the Bohol�s SK to help her in her candidacy. 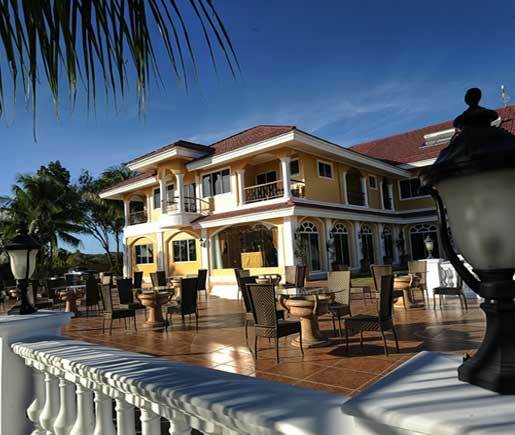 Jane has found a second home in Marikina City. Good friends like Kuya Cris/Boyet, the family of Marikina City councilor Marco and the friendly staff of Marikina Hotel. Jane who�s brave, brainy and beautiful (the three adjectives to describe herself), told True her desire to run as SK national president. �I believe the national SK presidency is a dream for every SKPF presidents. Like them, I also dream of that position,� she said. Here�s the story of the man who supersedes Bill Gates to be the World's richest man today. He still lives in the same small 3-bedroom house in mid-town Omaha , which he bought after he got married 50 years ago. He says that he has everything he needs in that house. His house does not have a wall or a fence. His company, Berkshire Hathaway, owns 63 companies. He writes only one letter each year to the CEOs of these companies, giving them goals for the year. He never holds meetings or calls them on a regular basis. He has given his CEO's only two rules. Rule number 1: do not lose any of your share holder's money. Rule number 2: Do not forget rule number 1. Don't do what others say, just listen them, but do what you feel good. Don't go on brand name; just wear those things in which u feel comfortable. After all it's your life then why gives chance to others to rule our life. Hello mister Udtohan your topics nowadays are getting exciting hope you can feature story of lives of successful boholanos here and abroad so that they will be an example...then make it regular in this site,.. thanx and congratz for becoming more popular among boholano websurfers! 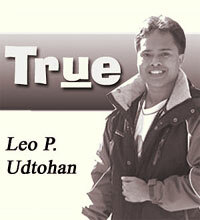 your comments on "True: Isn�t success Sweet?"